A few short years ago, the protective mothers' movement consisted only of many protective mothers victimized by a broken custody court system and a few professionals willing to risk their careers or at least their earning capacity to help them. This was the state of our movement when Mo Hannah started the Battered Mothers Custody Conference. It is easy to feel discouraged when we continue to hear the kinds of tragic miscarriages of justice where children are sent into the custody of dangerous abusers while safe, protective mothers are denied any meaningful relationship with their children based on the outdated and discredited practices routinely used by custody courts and biased professionals who have learned the way to make money is to support approaches that favor the abusers who control the family finances. Despite the continued widespread failure of the custody courts to respond appropriately or even recognize domestic violence cases, we have made significant progress. Fortunately and unfortunately there are now so many more protective mothers involved in the movement and more helpful professionals. The domestic violence movement is now much more aware and supportive of protective moms. The NCADV created a child custody track at its recent national conference, provided a plenary session devoted to child custody issues and have done everything we have asked. Although not unanimous, this support within the domestic violence movement is reflected in the work of local domestic violence agencies. The plight of protective mothers is also better known to government agencies and academicians. We have far more research that confirms the complaints of protective moms and efforts within government agencies to try to reform the broken system. Despite continued widespread court mistakes in responding to allegations of domestic violence and child abuse, there would be reason for optimism if those involved in the protective mothers movement could work in unity and avoid the kinds of personal attacks and competition that undermine the important work we are doing. I am well aware that men in the domestic violence and protective mothers movement need to take direction from the women in the movement and avoid actions that undermine their leadership. Nevertheless, after 27 years of working against domestic violence, I believe I may have a unique experience and perspective that could be helpful in avoiding divisions that can only help abuser groups. Survivors of domestic violence and unfair attacks by a court system that should be providing protection for her and her children, often must deal with tremendous anger, emotionalism and trust issues. This is a normal response to what survivors have been through. This response and particularly skepticism about who can be trusted can be helpful in detecting infiltration attempts by male supremacist supporters. Unfortunately it can also undermine the cases of protective mothers and interfere with our ability to work together to reform the broken system. The new Department of Justice Report prepared under the direction of Dr. Daniel Saunders found that evaluators pay far more attention to mothers' anger and perceived lack of cooperation then such considerations deserve based upon the likely effects on the children. Nevertheless we know that as unfair at it is, judges and others pay great attention to these issues. When I was practicing law, I tried to explain to judges and other court professionals that the mother's reaction was a normal response to the abuse she suffered and was not an indication of how she treated her children. Unfortunately the courts are often not open to understanding the mother's reaction in the context of a long history of abuse by the father. When we change the broken system, it will not be based on one case at a time, but rather changing the atmosphere in which all the cases are considered. This is why our movement is so important and those of us working on behalf of the protective mothers movement must work together. My friend, Ben Atherton-Zeman speaks about being honored when protective mothers share their stories with him. I love this formulation because so often lawyers, judges, journalists, friends and even advocates dislike hearing these stories because they are too painful, too long and too hard to hear. There are times that those trying to help protective mothers need to limit the time listening to these stories or are unable to provide the assistance that is needed. There is tremendous pressure on everyone involved which is exacerbated by the unspeakable pain that permeates this cursed and broken system. This is a recipe for anger and misunderstanding. Too often the anger becomes misplaced. We are trying desperately to help protective moms and their children. The resources available are a small fraction of what is needed. In many cases we could do everything possible and still not get through to the oblivious court professionals who have ably learned all the misinformation provided over the last thirty years. Recently I have noticed ever more frequent anger and personal attacks by those doing good work to help protective moms and against others doing good work to help protective moms. I can understand how this happens, but if we are going to change the system, it has to stop. It may well be that some people can't work with others and there need to be separate organizations, but we must avoid personal attacks and leave open the ability to work together on larger goals. One of the problems we have is that many lawyers and mental health professionals understand that abusers are the ones who control the family resources so the way to make a lot of money is to maintain a practice based on beliefs and practices that favor abusers. Professionals who regularly work as part of the protective mothers movement understand they are sacrificing income in order to try to help people and society. They often take cases for fees far below what their adversaries receive and constantly receive requests for pro bono work. When I practiced law, I often had protective moms come to me after a previous attorney had undermined their case while draining all the money available. They needed me to overcome the past mistakes on a pro bono or reduced fee basis. Similarly many protective moms who experienced the broken court system in their cases have generously returned to the field to help other protective moms. These are good people who deserve the highest honors and awards. Sometimes they may make mistakes and sometimes their actions may be misunderstood by someone who is hurting deeply. Again some people may not be able to work with other people. When someone is making sacrifices for the cause, we must make sure they are not unfairly attacked. We get enough of that from the male supremacists and the courts. And so my plea is for everyone in the protective mothers movement to avoid attacks on our allies and help create an atmosphere in which the maximum amount of cooperation is possible. The best part of this work is getting to know the extraordinary people who are part of our movement. There are so many admirable people who generously give of their time and resources. They often hear the most heartrending stories in order to try to help mothers and their children. These heroes make enormous sacrifices in their efforts to reform a system that routinely hurts children. As a man living in a sexist society and receiving numerous unearned privileges that most men are oblivious to, I often receive undeserved praise for behavior that ought to be normal. Protective moms who are forced to relive the worst experiences of their lives in order to help other mothers and professionals who give their time, skills and caring for our cause deserve tremendous praise and appreciation. If our movement is to succeed, they cannot be subjected to unfair attacks from those they try to help. In his chapter for our new book, Lundy Bancroft wrote about the need for activism as a means to reform the broken system. He spoke of the need for local organizations to bring moms together and for these groups in turn to work with other local and national groups. He has sought to put his words into action by helping to organize the Protective Mothers International. It may be that this group is not for everyone, but the stronger this group is, the better for all protective mothers. There are many wonderful organizations created to help protective mothers. They have different approaches, focus and practices, but each contributes to the important work of reforming the broken system. I encourage friends and allies to participate in the groups they feel most comfortable with. Most important, please avoid undermining other individuals and groups because we need all the help and support we can find. Barry, Excellent article regarding unity. Infighting and personal attacks only serve to make this movement, which needs all the advocates it can get, disjointed. It is very troublesome. Of course, there is always dissension in social movements--like the women's right's movement and the civil right's movement--as they struggle with a variety of approaches and leadership styles. The thing with those movements, however, is that the numbers were higher and the problem more in public view. With the protective mother's movement, we really have to guard with caution how we treat our fellow advocates. There are too few of us still and the work too essential. We can't afford to loose sight of the prize. Getting any movement in a system this entrenched and this dysfunctional requires our cooperation, even when sometimes it's not as easy as we'd desire. Thanks for making this important call for unity, Barry! Hi Barry, you have put it so nicely, and that we all should cooperate with each and stay united, also in Australia. I am not too sure, perhaps these are teething problems for some groups as they start off, and depreciate other people's work without realising that they may be giving away their hopes for a better future for all. Well put and I also urge Aussie mums to set aside their difference, and work together. We would like to join the international movement when it is formed. here in Australia. Thank you for your time dedication and all your work.. Thank you Barry for again such insight and thoughtfulness. 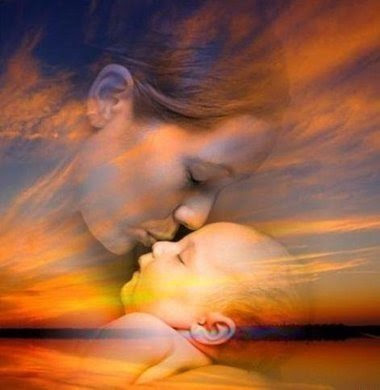 We protective mothers are more determined every day to make sure that someday we will have justice and liberty for ALL! Thank you for a very well written article laying out all the reasons to sacrifice for the sake of the children, you have done your best and we thank you. As you said, some are willing to risk their careers or at least their earning capacity to help them. And some will continue to point fingers and incite counter groups RATHER THAN FORM cooperative groups which may defeat the purpose- how sad. Not to put a sour taste in anyone's direction, I want to lift up those that I know have been unified in this movement: Barr Goldstein, Mo Hannah, Connie Valentine, Karen Anderson, Eileen King to name a few...Martin Luther King Jr. marched WITH his fellow peaceful protesters. There are also many women directly praying for our cause on a daily basis, and up to 30,000 indirectly praying. We have unity and it is growing. Thanks Nancy Carroll for your continued dedication and loyalty to the cause. Barry, thank you for such an eloquently pinpoint article...we should all work together for the larger goal, and the broken systems repaired for the sake of the children, victims, and protective mothers. You kind sir,have put this subject into clear perspective for many. I too have seen this "list" and am very unhappy that my name is included. I am an abused mother, thankfully coming out of it to the other side. I would like to know if I am on this list because of my inability to be at the group creator's beck and call 24/7? I am sorry that my abuser decided to call CPS on me and I had to focus on my child. She always comes first before anything else. Or was it school? I need to be able to get into a better paying job so I can remove the last little bit of control my abuser has on me which is financial. I am a part of a great group now who understands this. They know there are times I can work like a dog and get tons of stuff done and then other times I will vanish and be MIA for many weeks. But we all play our own parts in this group and we get many things done. I am saddened that with all the hours I took out of my life and my child's life for a cause I am very passionate about, that this is how it would end up. With my name on a doodoo list. That really speaks volumes. As an individual who fights for women's rights and children's rights, I will never associate with any group that publishes a hate list. It's always good to see dialog, change never comes about without it. This is an issue that draws a lot of conflicting opinions and I would just like to state that each comment is that person's opinion and not necessarily the opinion of this blog. @LetsGetHonest....thanks for the marketing tips, however, if you click on each picture you will find that they have active links to each person's site, if they have one. Each picture is in alphabetical order and the person who is the "author of the day" is on top. Just trying to be fair. Thanks to many people who consistently blog (but due to their own situations, and court cases, are unable to track, or attend, all the conferences from state to state being held about us and our kind (fit mothers attempting to retain or regain custody of their children once it hits conciliation courts) -- these issues ARE seeing the light of day. While I realize, as you say above, different groups have different focuses -- but NO group should be actively censoring, re-framing, or attempting to silence the discussion (let alone the mention) of significant topics which affect all of us. PMA, I just learned recently was announced in 2009 (lundybancroft.blogspot.com 6/19/2009) post. I also began my blog in 2009 to start speaking about some of these "unmentionables" which should've been shown to me, could've, but weren't -- before I completely lost contact with two children I'd removed from a dangerous and violent home years earlier. MOST of these topics have to do with welfare reform (and groups pushing certain philosophies and practices through it, one of which was TANF purpose IV, promotion of two-parent families. "Access Visitation" grants were dedicated federally at $10 million a year since 1996 to help set up extra-court programs to better facilitate "noncustodialparent contact" which were deemed to be primarily fathers. I know plenty of mothers (and have been one) where we were not given the same "access" once our kids were taken. $10 million a year since 1996 is a LOT to mention, but a $4 BILLION a year federal program (Child Support Enforcement) which has been essentially evolving and re-tooled to promote fatherhood involvement (and ALL the many corporations that help facilitate this) is a whole lot to not mention, either -- when talking about the problems mothers have retaining custody. Regarding on-line fighting on facebook et al. (around whichever venue, Lawless America, I've heard was one), I am not so interested in personalities as in systems, and again, in honesty and reporting. "Recently I have noticed ever more frequent anger and personal attacks by those doing good work to help protective moms and against others doing good work to help protective moms. I can understand how this happens, but if we are going to change the system, it has to stop." The term "doing good work to help protective moms" is both subjective, and pretty darn vague, in my opinion.